WANTED: Pretend stalker. No experience required. Tall, dark, and quirky preferred. Sabrina is desperate to go to her dream college, but her parents want her to stay close to home. If she wants to maintain her perfect child image, Sabrina must break rules that even her rebel sister keeps . . .
What a fun, fun story! Told in first person, I felt like I was right there, experiencing the ups and downs and growing pains of Sabrina's life. Sabrina needs a stalker as soon as possible in order to make her college dreams come true. Really? It seems far-fetched, but it totally works with Sabrina's personality--quirky, sweet, and fun. After trolling Facebook, she finds a former classmate and enlists his help. Sabrina strives to be the perfect child and person, since she feels she was a mistake, and is out to prove that she's not. There are many lessons learned about self-worth, perceptions, honesty, and growing up. I couldn't help but adore Sabrina and even amidst her trials and drama, found myself rooting for her and sympathizing with her at the same time. Life and decisions are really hard and I love watching her coming into herself. This book brought back many memories of my own coming-of-age. She's never had a good relationship with her sister because of their age difference and feels her family's love for her hinges on her perfectness, but people can be loved for more than that. I love the way things come together in this aspect. There is a smattering of romance in this book, but it's very mild and the twists and turns are completely unexpected. I was kept on my toes throughout the story, as I never really knew what to anticipate. 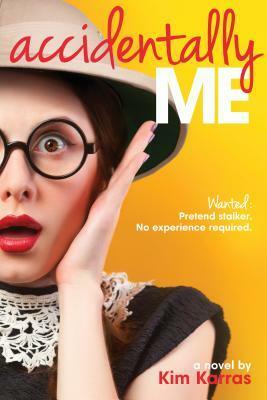 Accidentally Me is sweet, clean, completely entertaining, and a little zany--but it works in a perfectly satisfying way! This is one author I'll definitely be keeping an eye on. Content: mild romance (a few brief references to premarital intimacy, kissing). Clean! 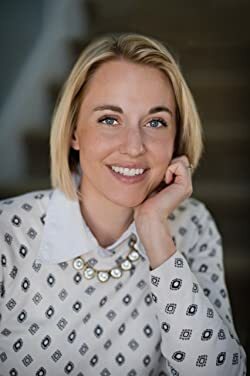 Kim Karras writes contemporary fiction for teens and adults. She graduated from the University of Utah with a degree in English in 2002. Kim lives with her husband and three children in Sandy, Utah. Her notes on life, motherhood, and writing can be found at kimkarras.blogspot.com. Great review! This was fun to read and not at all what I expected! Thank you! I loved it and it completely took me by surprise!